The services which will be run by Stagecoach include the bus routes 84, 85, 86 and 620. The 84 service is a circular route that operates in an anti-clockwise direction from Wotton-under-Edge through Charfield, Cromhall, Wickwar, Chipping Sodbury, Yate, Chipping Sodbury, Horton, Hawkesbury Upton, Hillesley and Alderley, before returning to Wotton-under-Edge. The 84 will operate alongside a new 85 service that will cover the same circular route as the 84 but in a clockwise direction. Both the 84 and 85 services will link with the 86 service at Yate, providing a connection to Kingswood and reintroducing a service to Longwell Green Leisure Centre/Aspects Leisure Park. The 620 service operates between Tetbury in Gloucestershire and Bath via (South Gloucestershire towns) Chipping Sodbury, Yate, Westerleigh and Pucklechurch. 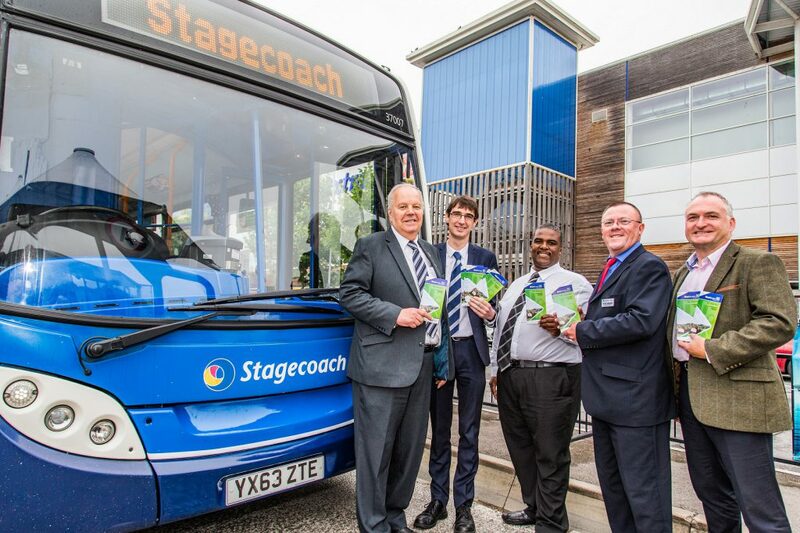 Cllr Colin Hunt, James O’Neil – Commercial Manager at Stagecoach, Wayne Johnson – South Gloucestershire Council’s Public Transport Manager, Peter Sheldon – Engineering Director at Stagecoach, Mark King – South Gloucestershire Council’s Head of StreetCare and Transport and one of the new buses.